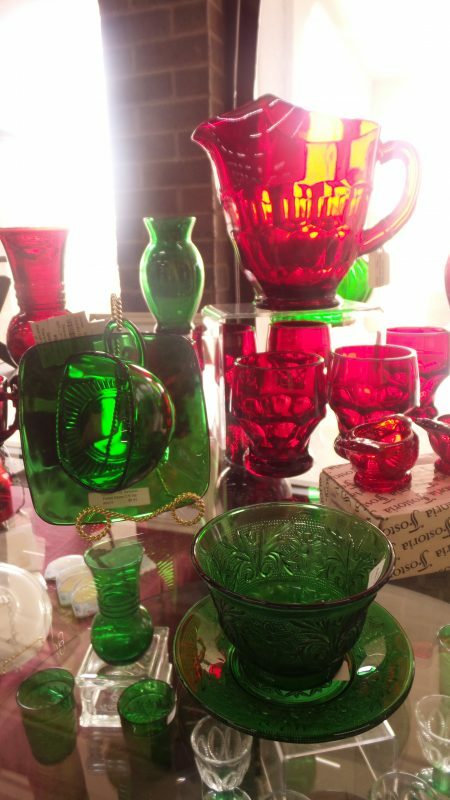 The holidays are fast approaching, which means it’s time to pick up Christmas decorations for your home! 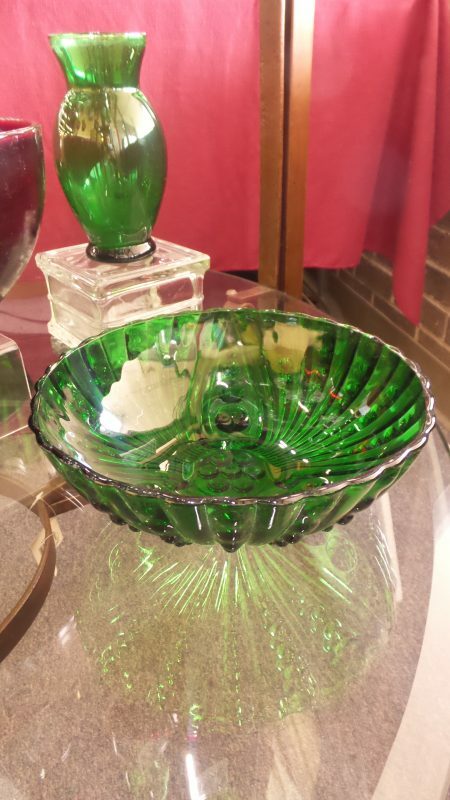 And while purely aesthetic decorations are great, it’s always nice for items in your home to have a practical use to them as well. 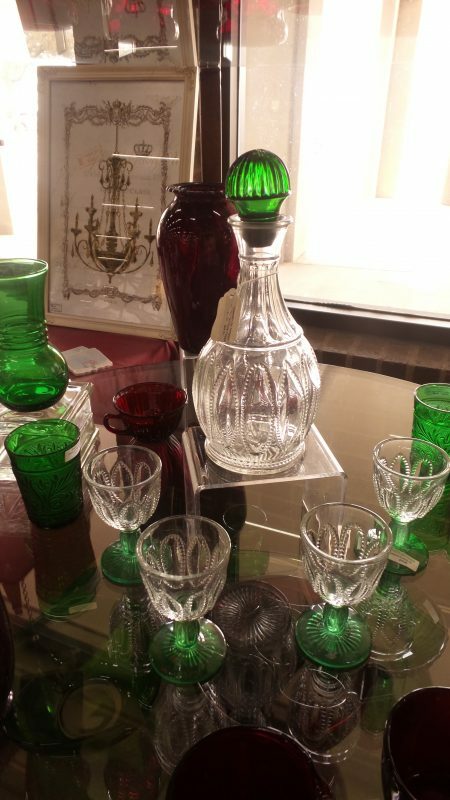 The glasses and dishware available from Dealer #0033 definitely fulfill both of these requirements! 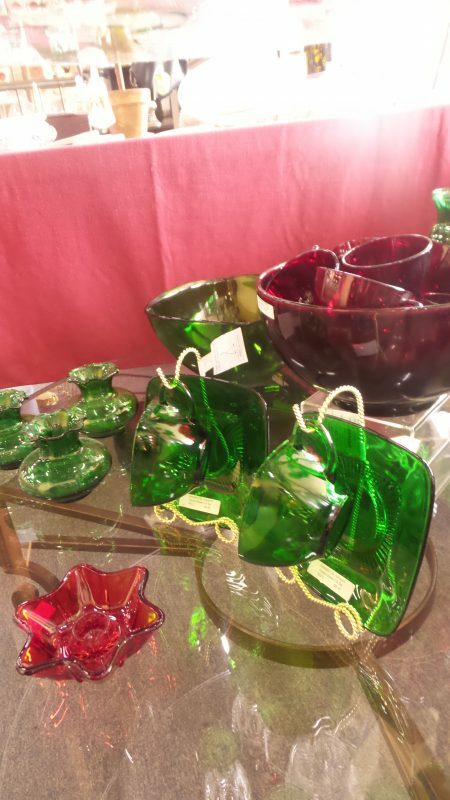 This dealer has set up a lovely display at the front of our gallery that really shows off the beauty of colored glass. 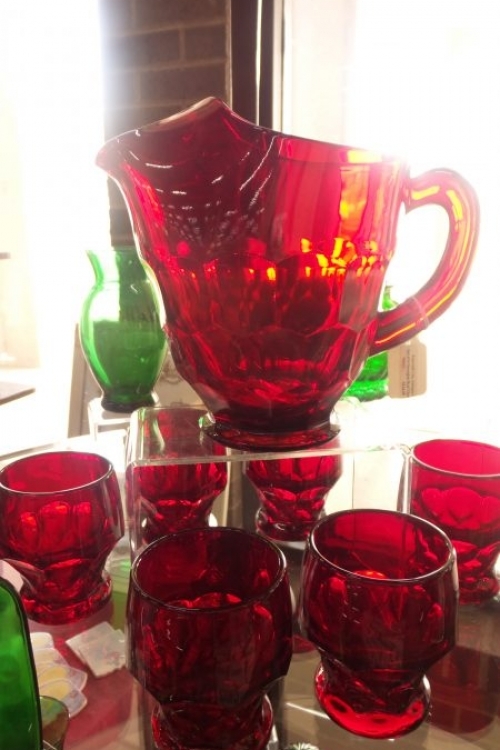 Items like the red pitcher or the green teacups really shine when used during a holiday dinner or displayed with a Christmas-themed table setting. 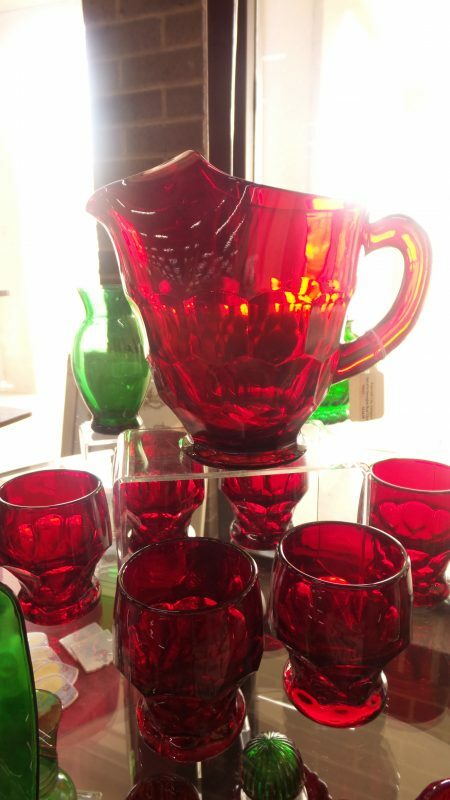 Be sure to hurry in and see the full display before everything is bought up during the holiday rush!